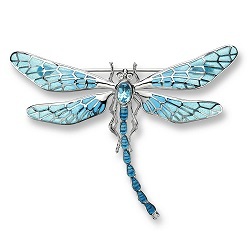 Butterfly Brooch in Sterling Silver Rhodium plated for a 'stay white' finish. Set with Pearl & Diamonds with Purple Plique A Jour enamel. Measures 50mm. 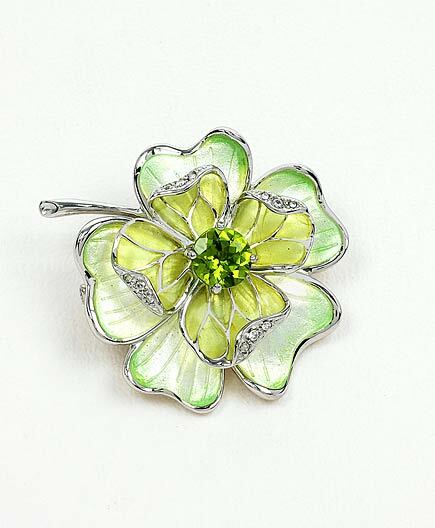 Peridot & Diamond Green Flower Brooch In Sterling Silver Rhodium plated for a 'stay white' finish.